The Federal Government on Wednesday, said Nigeria was ready to commence the production of nuclear energy. The Minister of Power, Works and Housing, Mr Babatunde Fashola, who made this known at the News Agency of Nigeria (NAN) Forum in Abuja, said Nigeria had secured the necessary certification from the International Atomic Energy Agency(IAEA). Fashola said: “`This thing has protocols and standards; we are already in it; we are not venturing into it; we started a nuclear programme 17 years ago. “We have gone through the training level; we have produced 25 graduates of master’s level under certification by the International Atomic Energy Agency. “We have found the sites; the sites have been approved, two sites have been approved by International Atomic Energy Agency. “We have started the design for the financing; that is the stage we are now; once we conclude that, we move to the design for the construction. Fashola said it was important for Nigeria to focus on the gains and safety of nuclear energy as obtained in other developed countries. He said that since the whole world was moving toward a cleaner fuel and the use of more sustainable form of energy, Nigeria could be an exception. He, however, said that the developed countries could only share the technology with countries ready keep to the standards in the utilisation of the technology. The minister further said that diversifying the nation’s energy mix would lead to the utilisation of the various forms of renewable energy sources in the country. This, according to him, will ultimately make electricity cheap in the country. “What we are thinking about is long-term solution. We need a solution that will endure for generations to come. “When you design a power solution, design it so that the next coming generations can use it. 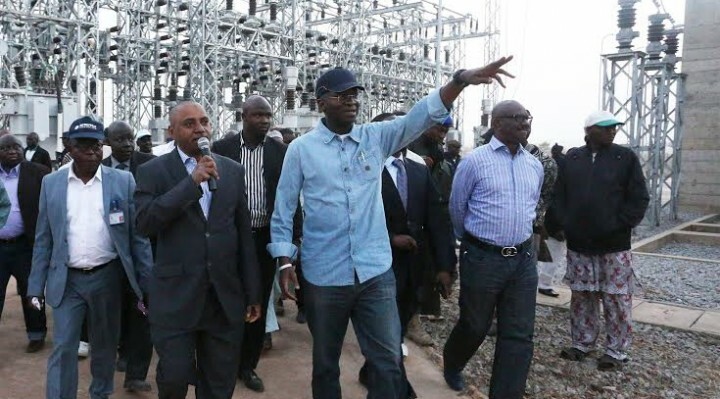 He said the ministry and other agencies under his supervision were working hard to ensure that Nigeria obtained the best in the electricity industry through strict regulatory responsibilities. On the monthly meeting with stakeholders in the industry, Fashola said it was designed to evolve better ways of managing the industry, adding that it was yielding the desired results.